Globally, the impacts of environmental changes and societal responses are significantly affecting resource tenure governance, the rights of communities and people, and their livelihoods. In turn, resource tenure and property rights issues are widely recognized as crucial in the success of many sustainable development initiatives. Interventions that strengthen resource tenure and property rights governance can help reduce vulnerability to extreme events; increase the resilience of people and ecosystems; and promote resource use practices that achieve a broad range of development objectives. Using policy engagement, pilot interventions, in-depth case studies, and quantitative and qualitative analysis, between 2013 and 2018, the USAID Tenure and Global Climate Change (TGCC) program advanced knowledge and practice on how land tenure and resource rights relate to global efforts to protect landscapes and adapt to environmental changes. Through work in five implementation countries and eight assessment countries, common themes emerged related to: using Mobile Applications to Secure Tenure (MAST); supporting the recognition and documentation of customary rights; using pilot activities to inform national policy discussions in an iterative fashion; and, supporting the clarification of government and local resource rights and responsibilities in areas where there are overlapping or ambiguous laws and customs, such as coastal and marine zones, wildlife management areas, and forested areas. 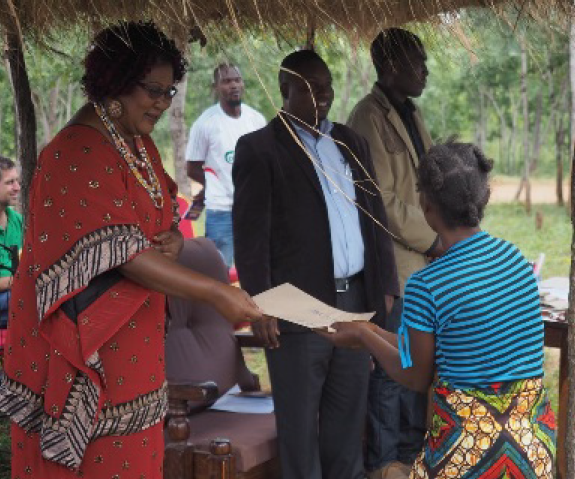 In the Eastern Province of Zambia, USAID supported communities and households to document their customary rights to agricultural land and communal resources, as well as supported agroforestry extension activities. 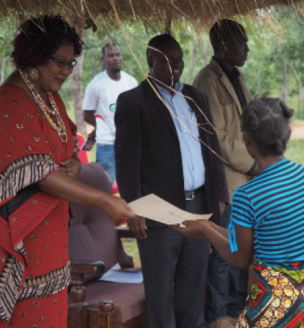 Project work in Zambia was evaluated through a randomized control impact evaluation to better understand how tenure activities influence agroforestry adoption. Agroforestry practices rely on a sustained commitment to land stewardship. Yet, for farmers to be willing to invest time and energy into these long-term land management practices, they need property rights. Additional work across a rural chiefdom explored the impacts of tenure security on reducing deforestation and improving wildlife management. The project activities engaged with civil society, government, and donors to promote the integration of lessons learned from customary land rights documentation into national processes. The TGCC project also supported the clarification and respect for rights related to forest and habitat protection. Guidance and national legal analyses in Guatemala, Honduras, Nepal, and Panama assisted governments, the private sector, and intergovernmental partners clarify who has rights to participate in and benefit from forest protection activities. 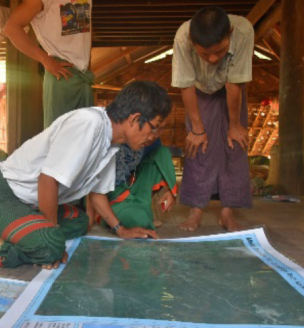 In Burma, the project contributed to the development of a National Land Use Policy (NLUP) and its subsequent implementation. TGCC’s support was central to the ground-breaking multi-stakeholder consultative process that led to the adoption of the NLUP, even at a time of historic government transition. 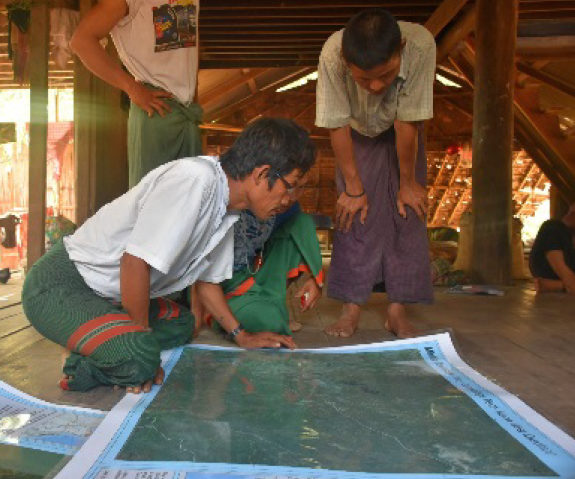 To advance lessons for policy implementation, TGCC developed models for documenting and protecting customary and communal rights and approaches that built constructive relationships between local communities and local government on land management. In particular, the project addressed the importance of women’s tenure rights, including rights to access, use, and manage forest resources. Additionally, through the TGCC project, USAID collaborated with private sector actors to support social and environmental goals under Tropical Forest Alliance 2020 commitments. This work with the cocoa sector in Ghana, in collaboration with Hershey’s, and the beef sector in Paraguay explored the deforestation risks related to smallholder and community tenure insecurity in commodity supply chains, and identified rights documentation approaches to address this insecurity and improve forest management. Finally, building on lessons from USAID’s deep history in land tenure and property rights, TGCC project staff supported USAID missions to assess marine resource tenure systems and develop interventions that lead to the achievement of biodiversity conservation, climate change adaptation, and resource productivity objectives. The governance of marine resources affects the livelihoods of hundreds of millions of people globally. 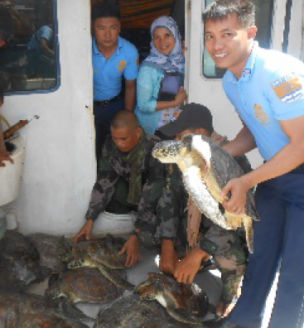 The application of secure tenure and property rights to coastal and marine systems has the potential to strengthen programming and build the resilience of the people and institutions that rely on these resources. Within this coastal ecosystem, mangrove forests face unique threats as they often have ambiguous and overlapping governance regimes among communities, government agencies, and private sector actors. TGCC undertook resource tenure analyses of mangrove systems alongside the development of pilot intervention activities in Vietnam to engage in coastal spatial planning and mangrove co-management.